Its time to start applying for the next Delegate Position. 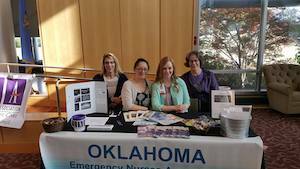 Join our Team and become part of the Oklahoma Emergency Nurses Delegation Process. Fill out the application and mail it in Today. Delegate Application Form You must be logged in to view and download the forms. ENA Doubles Down on Commitment to ENA Foundation with $50,000 Gift The Emergency Nurses Association announced the ENA Board of Directors doubled the association’s annual gift to the ENA Foundation’s General Endowment Fund by donating $50,000 to support academic scholarships for emergency nurses. OKENA Next Meet and Greet! NEXT MEET AND GREET IS FEBRUARY 9TH ST. JOHN BROKEN ARROW MOB 145 Come meet your state council and become a member!